Yeo Siew Hua is a director from Singapore. He is an alumnus of Talents Tokyo 2015, the Southeast Asian Fiction Film Lab (SEAFIC) 2016, and NETPAC’s Asia Pacific Screen Lab 2017, where he developed his feature thriller, A Land Imagined (2018); the first ever Singapore-French-Dutch co-production, which premiered and won the Golden Leopard at Locarno Festival 2018. It was awarded the L’aide aux Cinémas du Monde (CNC); the International Film Festival Rotterdam Hubert Bals Fund and the Netherlands Film Fund; the Grand Prix at Vietnam’s Autumn Cinema Meeting; Singapore’s IMDA New Talent Feature Grant; and the Torino Film Lab Audience Design Award 2018. His debut feature, In the House of Straw (2009), was in competition at the Bangkok International Film Festival 2009 and was presented at other festivals worldwide, including the São Paolo International Film Festival 2010. A member of Singapore’s 13 Little Pictures film collective, Yeo graduated from the National University of Singapore in Philosophy. Born in Spain and based in Singapore, Fran Borgia is the founder of Akanga Film Asia. 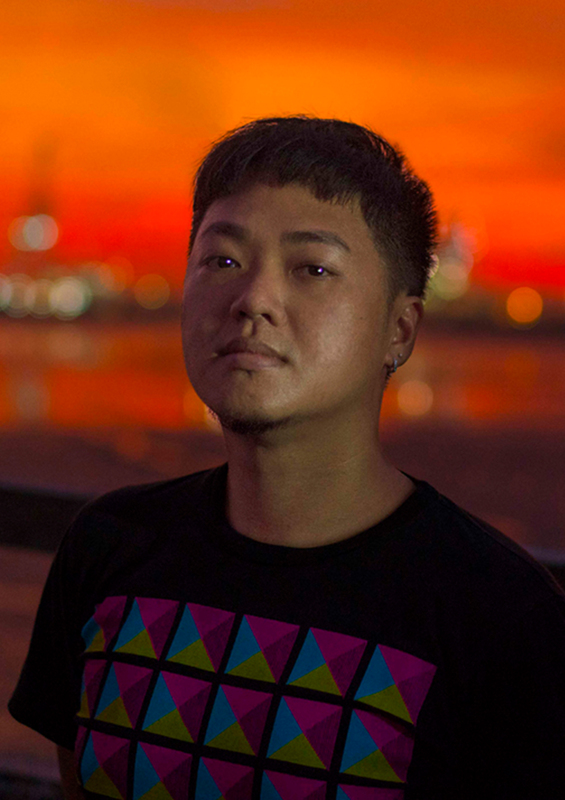 He is the producer of A Land Imagined (Yeo Siew Hua, 2018), selected for the Concorso Internazionale and won the Golden Leopard at Locarno Festival 2018; Apprentice (Boo Junfeng, 2016), chosen for Cannes Un Certain Regard 2016; A Yellow Bird (K. Rajagopal, 2016), shown at Cannes Critics’ Week 2016; and the co-producer of A Lullaby to the Sorrowful Mystery (Lav Diaz, 2016), in competition at Berlin International Film Festival 2016 and winner of the Silver Bear Alfred Bauer Prize. He also produced Sandcastle (Boo Junfeng, 2010), the director’s first film, which screened at Cannes Critics’ Week 2010; Here (Ho Tzu Nyen, 2009), the director’s debut feature, selected at Cannes Directors’ Fortnight 2009; medium-length film, Earth (Ho Tzu Nyen, 2009), shown at Venice International Film Festival 2009; Disappearing Landscape (Vladimir Todorovic, 2013), nominated at International Film Festival Rotterdam 2013; Mister John (Christine Molloy and Joe Lawlor, 2013), nominated at Edinburgh International Film Festival 2013; K. Rajagopal’s segment for the omnibus film 7 Letters (2015), premiered internationally at Busan International Film Festival 2015, and Liao Jiekai’s segment for the omnibus film 667 (2017), which also premiered internationally at Busan International Film Festival 2017. In the surveillance state of Singapore, retiring policeman Goh stalks Darren, suspected of pimping out his girlfriend Tara in order to scam money. While stalking the young thug, Goh discovers that Darren is a new father to a baby, which he is trying to sell off. Projecting his own dashed dreams onto Darren, Goh decides to stop this transaction and make contact, without revealing his identity. Goh allows himself to become Tara’s latest victim and finds himself drawn to the teenage bait, who resembles his wife, Zhou. The love scam becomes far more dangerous when Darren finds out about Tara’s secret plans to elope with the undercover Goh. Confronting Goh, Darren gets himself arrested and Tara strikes a secret deal with Goh to release her boyfriend. When Darren is mysteriously released from detention, he seeks out the man responsible and starts his own stakeout of Goh. Darren becomes intrigued by Goh’s crumbling marriage. Darren imitates Goh in the process, invoking the man Zhou used to love and secretly seduces Zhou in an act of revenge. Through this dangerous imitation game, Darren loses himself and the two men who were pursuing each other begin to look like one and the same person. What happens when past and future gaze upon each other? Since what is seen cannot be unseen, the observer must ultimately confront himself in the object of his gaze. All the while, these events do not escape the watchful eyes of surveillance devices all around them – someone is always watching.